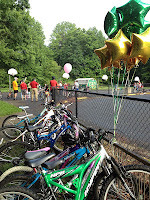 80 at Wolftrap Elementary School - Principal Dr Blain, Charlie Strunk of FCDOT and Linda Watkins of Inova Safe Kids Coalition all rode w/ us. 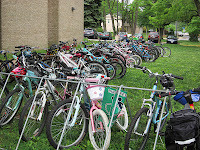 40 at Oakview ES - There are 3 bikes usually and the best part was Mrs. Glazewski, the school Principal, rode her bike in from Centreville and led the bike train around the school to the bike racks! 25 at Louise Archer ES - Principal was happy this happened. Update May 10: See a video of Wolfie's Bike Train from Vienna Patch, Video: Students Ride for National Bike to School Day. The accompanying article summarizes the day's activities. 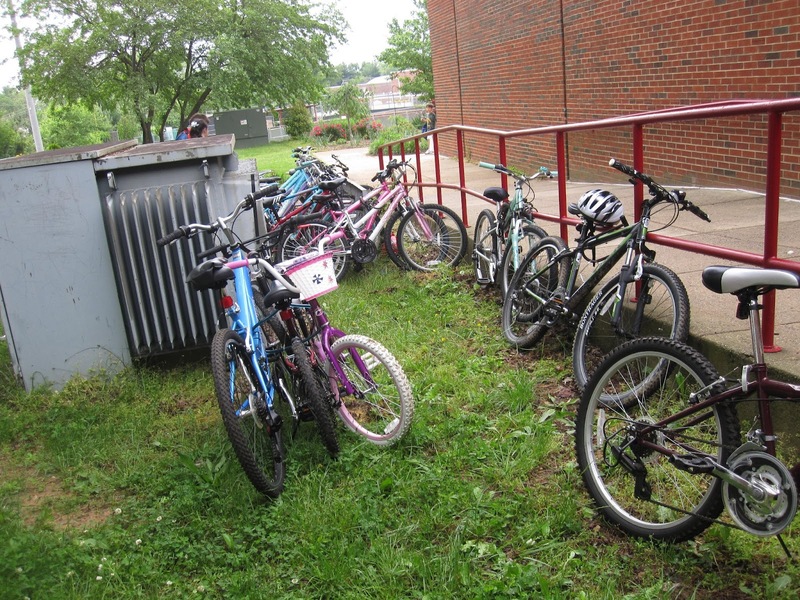 As a bicycle instructor I would have liked to see the kids stop at the stop sign and signal before turning. 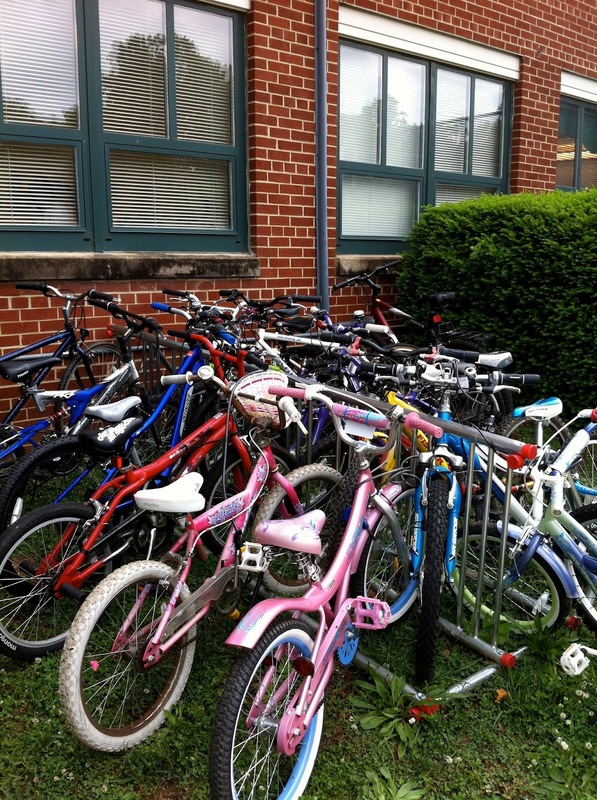 With a large group like that it's difficult for each student to stop but the danger is that kids learn to roll through stop signs. 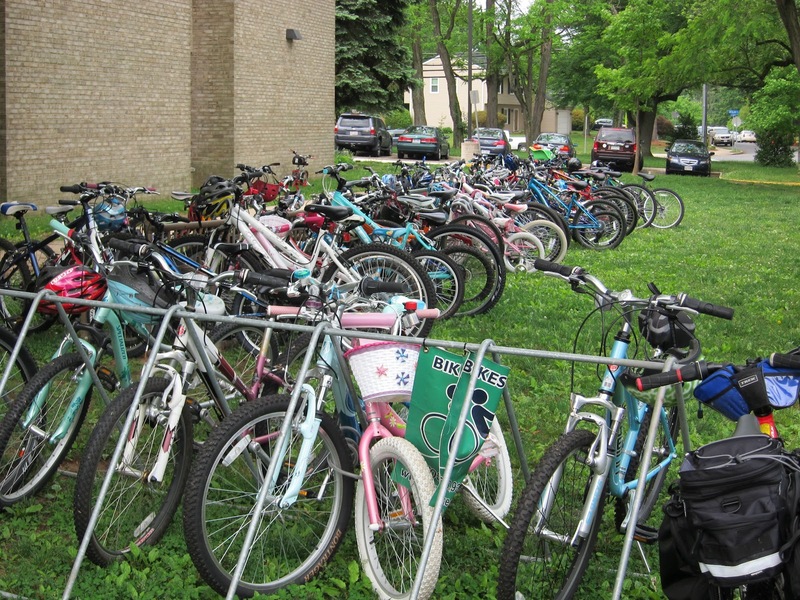 Wolftrap Elementary has made great progress regarding kids biking to school, from biking being banned at the school seven years ago to having around 70 kids biking yesterday. I especially like the final quote from the video: "We did it mommy!"